We know what a bird in the hand is worth. 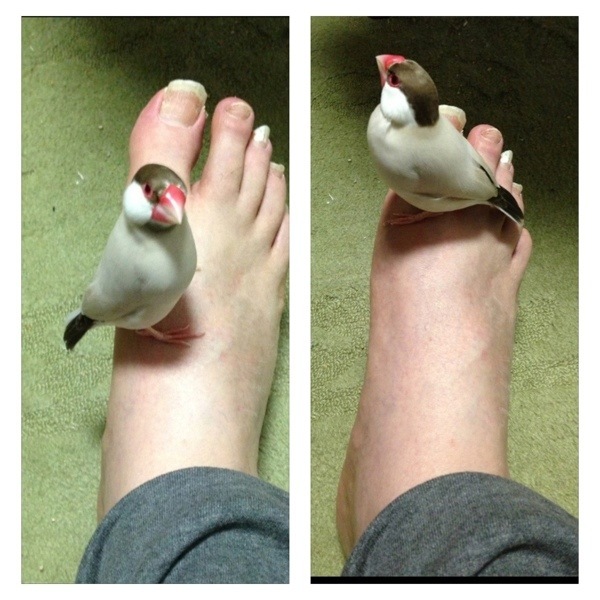 What is a bird on the foot worth? I don’t know, but you and Monta need your nails trimmed! Monta recently had his nails trimmed, so he is ok. I need to go to the vet and get mine trimmed.